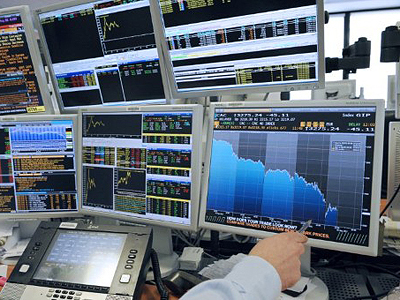 Global markets continued to fall as US stock markets opened with a loss following the Asian and European slump on the first trading day after S&P’s kicked America out of the AAA club. In his first public comments on the credit downgrade, US President Barack Obama defended the US economy, claiming the US is still a AAA country. Obama said he did not need a credit agency to indicate that the US needs a balanced long-term approach to cut its deficit. The president went on to say that Washington is not lacking policy or planning, but rather political will. The head of Moody’s credit agency said on Monday that there is a chance that they may downgrade US’s credit rating from AAA to AA, if the deal that was reached to reduce the US’s deficit does not prove to be reliable. 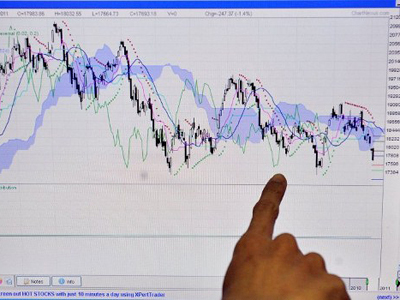 Investors’ mood remained insecure after Obama addressed the nation. 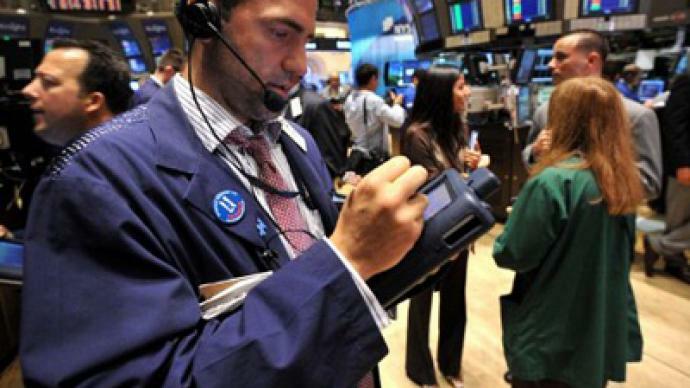 The market continued its slide, with the Dow Jones industrial average down more than 500 points. US stocks also continued falling. The weekend was an anxious time for investors who had been awaiting Monday's market opening after Standard & Poor's dropped its bombshell on Friday night. 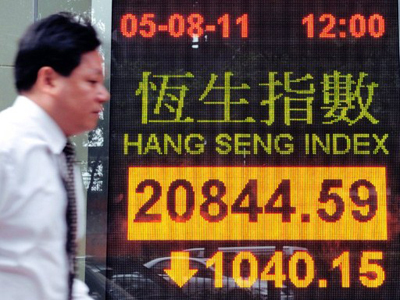 Fears were realized when leading stock indexes in Asia fell more than 2 percent. 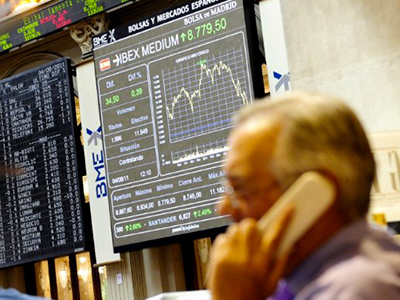 Most European stock markets were recently down more than 3 percent, in a sign of the climate of uncertainty worldwide. Johan Van Overtveldt, editor-in-chief of Trends magazine, Belgium’s leading business monthly, says the mood on the global markets remains negative. “In any case the market is falling further and I can refer to what we saw in Europe this morning, where we saw for brief period of something like one to two hours even slight increase in the markets that went away after that. So, overall it is difficult to judge hour from to the hour but overall we can say the negative sentiments that were there last week very pronounced are still there,” he said. On Monday, S&P’s also estimated that there is at least a one-in-three chance the US rating could go lower still within the next six months to two years. The agency believes that not enough has been done and Washington needs to halt the ongoing cycle of borrowing and spending. Also on Monday, S&P announced that it was also downgrading the debt of mortgage giants Fannie Mae and Freddie Mac, which rely on US government guarantees. And though the current plunge is not as sharp as the 2008 fallout, when America’s fourth-largest investment bank, Lehman Brothers, declared bankruptcy, the two still bear comparison, Van Overtveldt thinks. “I think we are approaching that kind of situation, with the exception that Lehman Brothers was a kind of big bank. Now we are in a situation where we are on a gradual path down in terms of growth prospects in the United States, in the eurozone,” he declared. ­Now many lawmakers and average Americans believe there is an imbalance in spending by the US government. They say the priority is still on military spending – wars, arms and equipments – and spending money overseas, outside national borders, while people in the US need jobs and funds most of all. ­However, Harlan Green, editor and publisher of PopularEconomics.com, believes that the actual numbers on the economy are better than the figures now making the headlines. “The actual government statistics are now underreporting growth in the US,” Green said. “It is incredible. In fact, jobless reports that are coming out are understating employment by at least a 100,000 jobs over the last two months, and now we are finding out that the GDP reports are also underreporting the growth in this country. And it has a lot to do with seasonal adjustments – what they call ‘growth income figures."